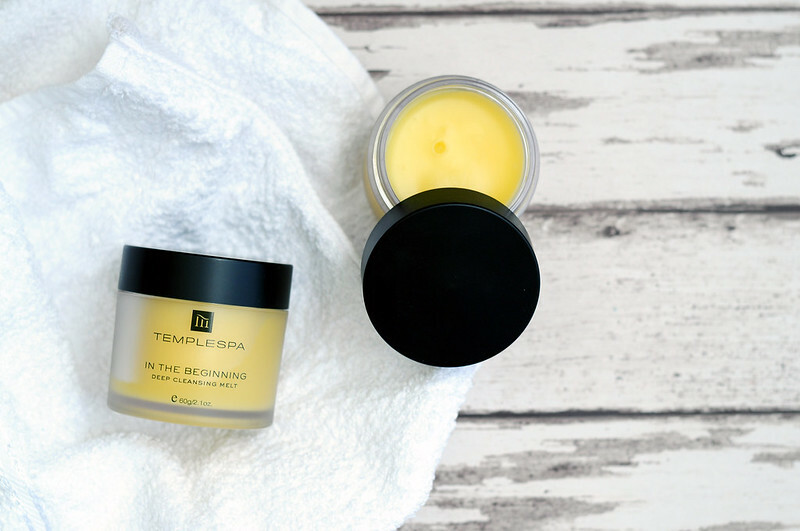 TempleSpa In The Beginning Deep Cleansing Melt | £28 // When Caroline raves about a cleanser, well any product really, I usually add it to my to try list and buy it at some point in the future. It's not often that I order it straight away but that's what happened with this one. I had just finished my shift at work and was on the bus home browsing Instagram and Twitter when I saw Caroline talking about this cleanser from TempleSpa. I did not need a new cleanser but the buy one get one free offer as well as it having Carolines stamp of approval was all it took. Now £28 isn't too bad a price for a cleanser but when I ordered it, it was on offer so one tub worked out at only £14 which is pretty good. This cleanser is next in line for when my Oskia Renaissance Cleansing Gel runs out which I think will be pretty soon. I also can't fault the brand TempleSpa. My order arrived quickly and well packaged with beautiful turquoise tissue paper and a couple of chocolates inside. So yellow! For some reason that immediately attracts me to it.